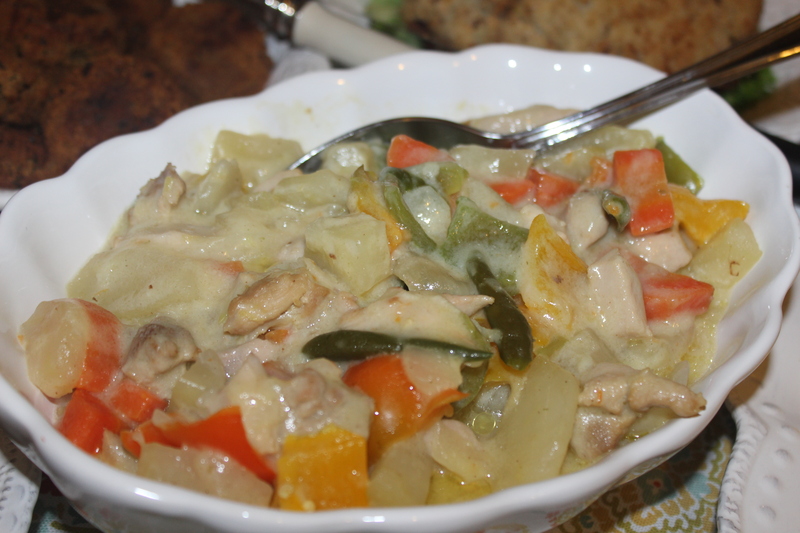 This vegetable preparation is inspired by my mom’s mixed veggie with chicken recipe . She always use butter-oil that gives a very unique flavor but unfortunately we don’t get any butter-oil here in USA , so used ghee instead of butter-oil . 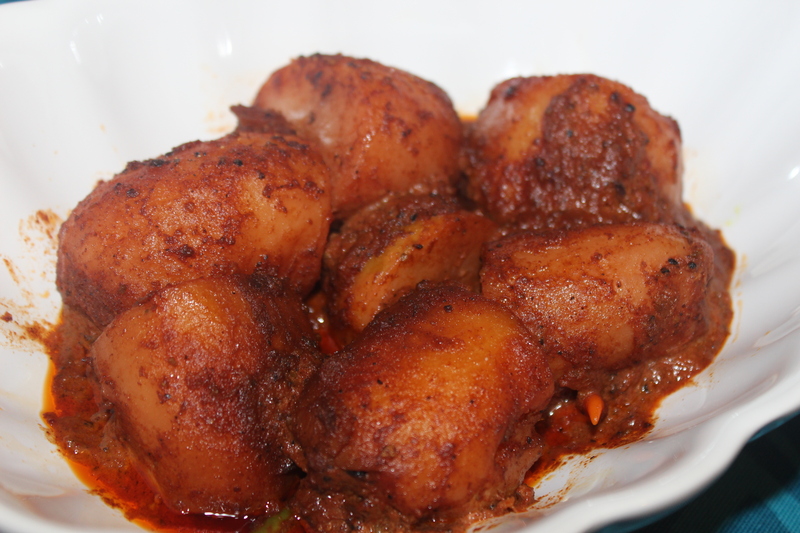 This recipe is actually a copy cat version of Bangladeshi Chinese style vegetable recipe . You can use other veggies like cauliflower , mushroom, broccoli too . 1. Microwave the papaya for 5 minutes or until tender . Don’t make it mushy . Microwave other veggies except capsicum for 3 minutes too . You can boil the veggies too with little water and salt until just tender . If you over boil it , the veggie will be mushy and won’t taste good . 2. Mix ginger paste, garlic paste, soy sauce, powdered chicken bouillon/ chicken powder with chicken . Heat oil and add the chicken . Fry until tender . Now add the microwaved or boiled veggies and the capsicum . Add little salt and tasting salt. 3. Mix the cornstarch in milk and add into the veggies . Add the onion , salt, tasting salt , sugar and green chilies at this point . Add the heavy cream or thick milk,The gravy will thicken up. Turn off the stove and pour the butter oil or ghee over the veggies . এই রেসিপিটা আমার ব্লগে আছে. কিন্তু এবার আমি একটু মোডিফাই করেছি. আমার মা এটা বানাতেন, কিন্তু সয় সস দিতেন না ,যার ফলে রং টা একদম দুধ সাদা থাক্তো; নামানোর আগে একটু বাটার ওয়েল ছড়িয়ে দিতেন. বাটার ওয়েলের একটা আলাদা ফ্লেভার আছে, এখানে নিউ ইয়র্কে বাটার ওয়েল নেই বলে আমি অল্প ঘি ছড়িয়ে দেই. এবার আমি চিকেন টা তে অল্প লাইট সয় সস ইউজ করেছি. ডার্ক করা যাবে না ,-তাতে সাদা ভাবটা থাকবে না. খুব অল্প. আর শেষে হেভি ক্রিম দিয়েছি. না পেলে ঘন দুধ দিয়ে দিলেও হবে. সাধারনত আমি ঘন দুধই দেই. এবার ক্রিম দিয়েছি. যাই হোক রেসিপি তে আসি. * পেপে আর গাজর মাঝারি মোটা করে স্লাইস করতে হবে. খুব মোটা বা খুব পাতলা করা যাবে না. ১. চিকেন কিউব করে কেটে আদা বাটা,রসুন বাটা ,সয় সস আর গুড়ো করে নেয়া চিকেন কিউব দিয়ে একটু মেরিনেইট করে রাখতে হবে. আদা আর রসুন আমি গ্রেইটারের একদম মিহি অংশটুকু দিয়ে গ্রেইট করে নেই তাতে বাটার মতই এফেক্ট আসে. ২. পেপে আর গাজর অল্প পানি দিয়ে মাইক্রো ওয়েভে ৫-৭ মিনিট মাইক্রো ওয়েভে করে নিন. সিদ্ধ হবে কিন্তু নরম হয়ে যাবে না. অল্প পানিও থাকবে. বরবটিও ২ মিনিট মাইক্রো ওয়েভে করে নিন. চাইলে চুলায় সিদ্ধ করে নিতে পারেন, কিন্তু খুব নরম করবেন না আর অনেক পানি রাখবেন না. পেপে ,গাজর আগে সিদ্ধ করে পরে বরবটি দিবেন. ৩. চুলায় অল্প তেল দিন. চাইনিজ জাতীয় খাবার তেলের উপর ভাসা যাবে না . এখন মেরিনেইট করা চিকেন দিয়ে ভাজতে থাকুন. চিকেন এর কালার চেইঞ্জ হয়ে পানি শুকিয়ে গেলে মাশরুম ক্যাপ্সিকাম আর বরবটি দিয়ে ভাজুন. পিয়াজ দিন. এবার অল্প পানি সহ পেপে আর গাজর দিয়ে দিন.লবন,টেস্টিং সল্ট, চিনি দিয়ে দিন. লবন বুঝে শুনে দিতে হবে. কাচামরিচ ফালি দিন. ৪. কর্ন্সটারচ ১/৪ কাপ দুধে গুলে দিয়ে দিন. ১/২ কাপ হেভি ক্রিম বা ঘন দুধ দিয়ে দিন. ৫. ঘন হয়ে আসলে ১ টেবিল চামচ ঘি বা বাটার ওয়েল ছড়িয়ে নামিয়ে নিন. এটা চুলার উপর বেশিক্ষন রাখবেন না. হয়ে গেলেই পরিবেশন পাত্রে ঢেলে ফেলুন. আর সামান্য গ্রেভি রাখবেন,ঠান্ডা হলে একটু ঘন হয়ে আসবে. তবে খুব বেশি না. 1. Boil the potatoes . But don’t boil too much . The potatoes should be firm . peel the potatoes and prick with fork . Now rub some salt and kashmiri chili powder/ paprika and leave aside for half n hour . 2. In a small bowl take yogurt . Whisk or beat it with a fork until smooth . Now add all the spices into it and mix . 3. Heat ghee+oil and add the potatoes . Fry until the outer skin is crispy . Now Add the whisked yogurt and water . Cover the lid and cook on medium low flame until the gravy thickens and the potatoes absorbed the gravy well . Add the cream or milk . Add the red/ green chilies . Cook it on low flame for few more minutes until oil separates . Enjoy with roti , paratha or even rice . My daughter is a potatoholic !!! She just loves potato !! That is one of the few genetic things she inherited from me !! Everythime we went to a restaurant , she is looking for side dishes of potatoes . 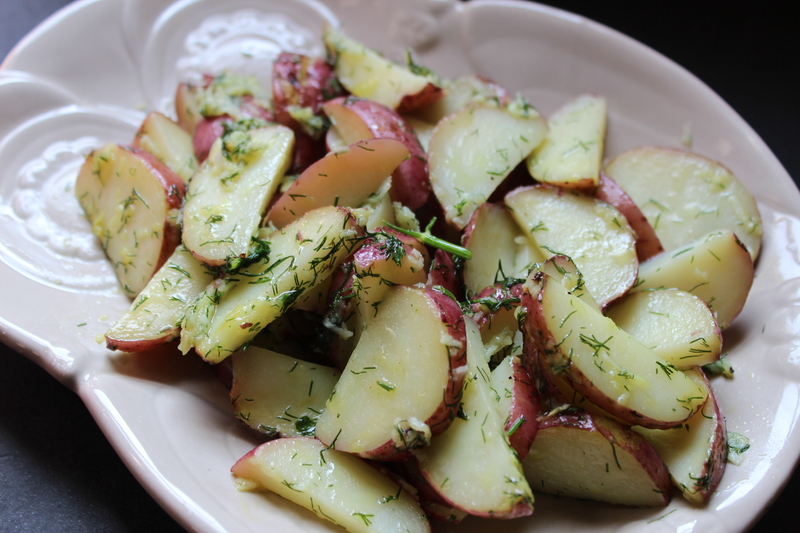 Garlic-dill potatoes is one of her favorite potato side . 1. Wash the potatoes very well and cut in thick wedges . Now steam them for 8-10 minutes until tender but not overdone . I just microwaved them for 4 minutes in a closed microwave safe box . 2. Heat butter and add the garlic . Saute for a while . Now add the dill , stir a bit . Now add the potatoes and toss them with the butter . Sprincle salt . Lucknowi Sultani daal is one of the gems of Lucknowi Kitchen of Nawabs . The aroma coming out from this heavenly dish is so tantalizing , you can’t resist yourself taking it again and again . The specialty of this preparation is ,the daal is smoked by coal on a betel leaf (paan pata) before giving bagar (tempering spices). For the special masala , take 10 cloves , 1 tea spoon cumin , 1 tea spoon coriander , 1 tea spoon fennel , 4/5 cardamoms . Dry roast them and grind them into a fine powder . 1 coal and a betel leaf to smoke the daal . 1. Soak the daal overnight or at least 5 hours . Wash and drain well . 2. Cook the daal with ginger , garlic paste and enough water until the daal gets well cooked and becomes mushy and thick . 3. Place a betel leaf ( paan pata) on the daal and add a burning coal on the leaf . Add immediately ghee and clove powder . Close the lid of the pot and let it smoked for 2 minutes . 4. Carefully take out the coal and the leaf from the daal . Now add the beaten yogurt and cream . Add the cinnamon powder and special masala . Add the salt . Cook for another 5 minutes . Add the whole green chilies . 5. For tempering , heat ghee and add whole cumin . Add the onion , garlic and whole red chili . Fry until the onion and garlic gets brown . Pour this over the daal . 1. Don’t add salt while boiling the daal . Always add salt after the daal being properly cooked . 2. While smoking the daal , always remember , the coal must be fully burning one . If the coal is not properly burnt , the flavor won’t come and may ruin your dish . 1. Wash the potatoes very well . Don’t peel . Now make several crosswise cuts into it making sure not to slice the potato completely . 2. Rub some olive oil over the potatoes and bake @ 450 FH for 45 minutes . 3. Deep fry it until crunchy . Let it cool. 4. 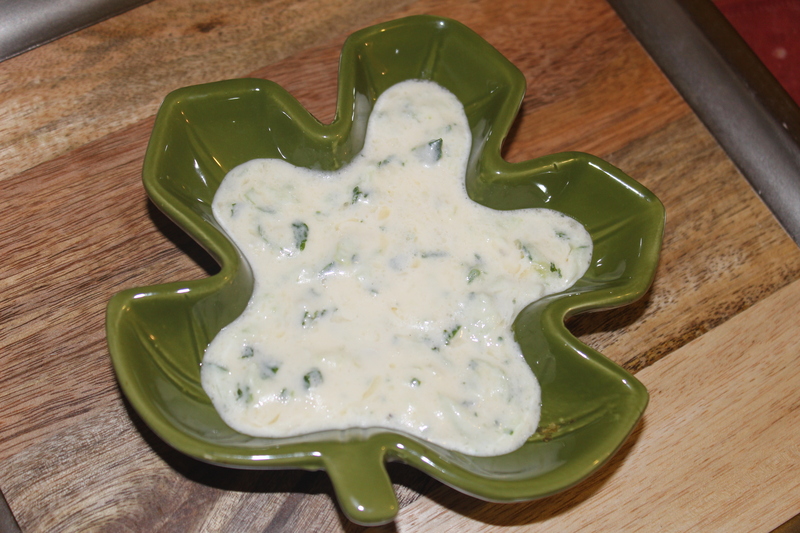 Make a mixture of mayonnaise and garlic and white pepper . You can add little sugar in it too to sharpen the taste . Now put the mixture into every slits of the potato . Put some cheddar cheese too. Sprinkle some Italian seasoning over the potatoes .Now bake again in a pre-heated oven for 15 minutes at 400 FH . I have at least four different versions of whole stuffed cauliflower !!! I have already shared my batter fried whole stuffed cauliflower . In case , anyone missed it , here’s the link https://khadizaskitchen.com/2013/11/29/whole-stuffed-cauliflower-roast-deep-fried-version/. Today’s post is oven baked one where the cauliflower is covered with mashed potato and then baked and again broiled for last few minutes for the crusty outer shell . I bet , you are gonna love it . Many deep fry this mashed potato cover cauliflower too . But I’ve always found it very difficult to turn it over while frying , the potato tends to come out and most of all , it gets too oily and gets soggy after little while . So oven-baked is perfect when the outer shell is done by mashed potato. You can take anything for the stuffing , be it chicken , beef, mutton even fish or seafood . I took beef here . For the stuffing , if you are taking any ground meat or keema , then boil it with water , soy sauce , garlic-ginger paste and whole garam masala like cardamom, cinnamon and bayleaf . Dry out the water , now heat oil and add the keema , little salt (if needed), capsicum , lots of sliced onion and green chilies . 1. Cut the extra stems of the cauliflower . But don’t cut the main stem . Now boil it in water with ginger-garlic paste and salt . 2. In Bangladesh , the cauliflower florets seem to be separated with each other as it is .There is enough space to stuff the filling in but in USA I found the florets to be so dense , hardly get the space to put the filling easily . So I boiled it like 60% . If you are in Bangladesh , just half boil it . Now try to stuff the filling inside ,to the spaces around the florets . Do it carefully , don’t break the florets . 3. Cover it with mashed potato . Keep it in the refrigerator for at least 1 hour . 4. Pre -heat the oven to 380 FH or 190 centigrade. Apply some oil over the cauliflower , over the mashed potato shell . This would make the shell crusty . Brush with a beaten egg . If you wish , you can apply bread crumbs after the egg wash and then again brush with little oil..Now bake the cauliflower for about 40-45 minutes . The baking time may vary oven to oven . Check after 30 minutes . Just when you find the potato shell dry and turned little brown , just set the oven to broil and broil for about 10-12 minutes for the golden brown crust . Raw/ Green Banana Kabab with the banana skin too !! I love raw banana . 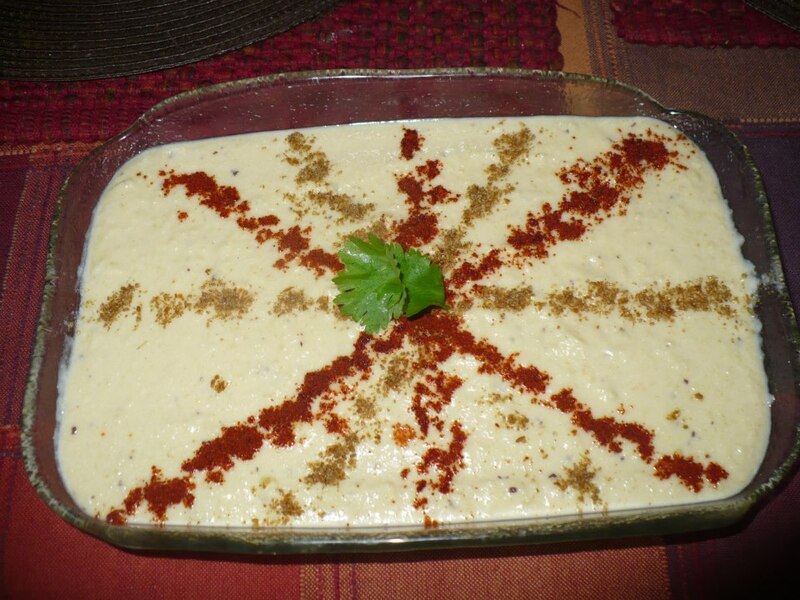 My mom has so many special recipes with raw banana and this kabab is one of them , the specialty being the use of the skin too . Many of us make raw banana kabab and I saw most of them throwing away the skin!!! What a wastage !!! The skin being the most delicious part !! !People throwing away the skin complains about the sticky enzyme comes from the raw banana and think that might make the skin taste bitter . But it certainly has a technique to get rid of bitterness of that sticky enzyme and that is to boil the banana with turmeric and salt . Turmeric and salt both help to get rid of the bitterness of that sticky enzyme of raw banana . 1. Boil the bananas with turmeric and salt . Throw away the water and peel the skin from the banana . Cut the skin in small pieces and blend them with grated ginger , garlic . Mash the bananas smoothly and mix with the blended skin , add the other ingredients , fried onion , chili powder , cumin powder , garam masala/ kabab masala powder , salt . 2. Now add the beaten egg in it . Don’t use any other binder like flour or gram flour . Only egg is enough for binding . If you use other binder , the kabab won’t taste good at all . After mixing the egg , you may find it bit soft to make shape . Don’t worry . Keep it in the fridge for a while like 15/ 20 minutes . Then you will find it easier to shape . 3. Heat oil in a fry pan and fry the kababs on medium low heat . Better to keep the kababs in fridge before you fry them . 1. Don’t use any binding like flour , bread or cornstarch . If you do so , the kabab won’t taste good at all . 2. Fry them on medium heat . It should not be deep fried but you need enough oil to fry them oil . Don’t fry them in small quantity of oil .